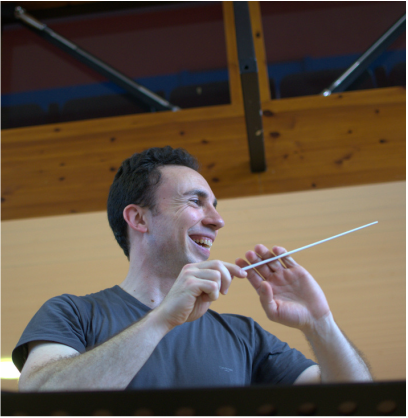 Spanish conductor Juan Ortuño is a Masters graduate from the Royal Northern College of Music where he studied with Clark Rundell and Mark Shanahan. He is Musical Director of the City of Manchester Opera and the Gorton Philharmonic Orchestra. Juan is developing an exciting career in the UK where he has worked with professional orchestras such as the Manchester Camerata, the Royal Scottish National Orchestra, and the Sappha Ensemble. He has also worked across Europe with the Kammerphilharmonie Graz, and Orquestra Simfònica del Vallésamong amongst others. During this time he attended several conducting master classes with Benjamin Zander, George Hurst, Martyn Brabbins, and Antoni Ros-Marbà, and received positive feedback from Sir Mark Elder and Juanjo Mena. Recently he was finalist in the “Luigi Mancinelli”International Opera Conducting Competition in Orvieto. He also enjoys working in projects with companies such as Pint Sized Opera or Classical Revolution, who aim to bring opera and classical music to new audiences in informal locations.